Featuring some of the world’s most incredible natural settings, a beautiful lake, some of the oldest mountains in the United States, and gorgeous National Forests – Branson and the Ozarks offer an unforgettable location for weddings. To create the perfect, memorable day we’ve rounded up for you some of the most incredible, beautiful, and Insta-worthy wedding venues in Branson and the surrounding area. 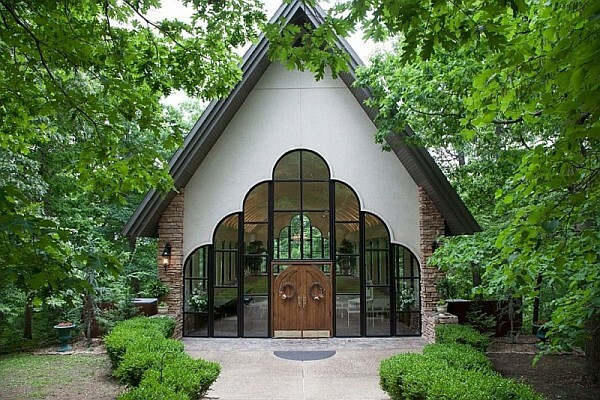 Stonegate Glass Chapel offers one of the most beautiful settings in the Ozarks for a wedding. The best thing about Stonegate Chapel is that it is large enough to host even the largest of weddings. The chapel is able to hold accommodate up to 2,200 guests, so you can invite all the family and friends you want and still have plenty of room for everyone! 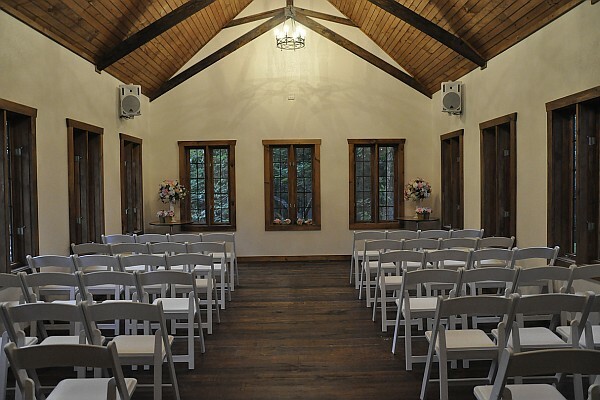 The chapel also sits in the beautiful Ozark Mountains and has a breath-taking view that will be the perfect backdrop for all of your wedding photos. Johnny Morris’ properties offer more than 20 wedding venues at Big Cedar Lodge, Dogwood Canyon, Chapel of the Ozarks, Top of the Rock, and more! 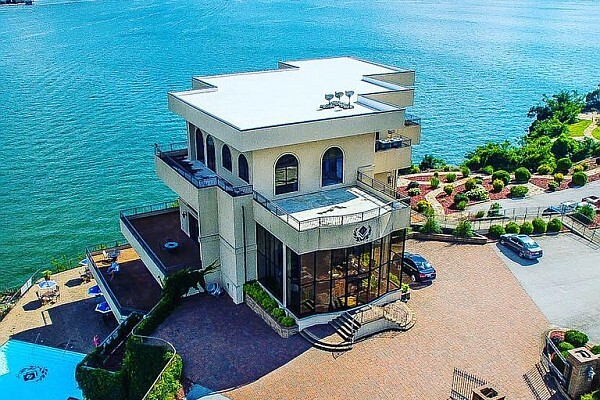 This prestigious chapel overlooks the beautiful Table Rock Lake, and has one of the most stunning views of the lake that you could find anywhere. 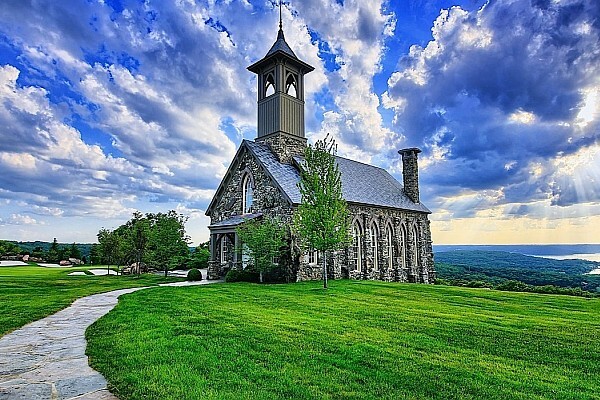 Chapel of the Ozarks, at the Big Cedar Resort in Branson, MO, is known for it’s panoramic view and beautiful hilltop location. 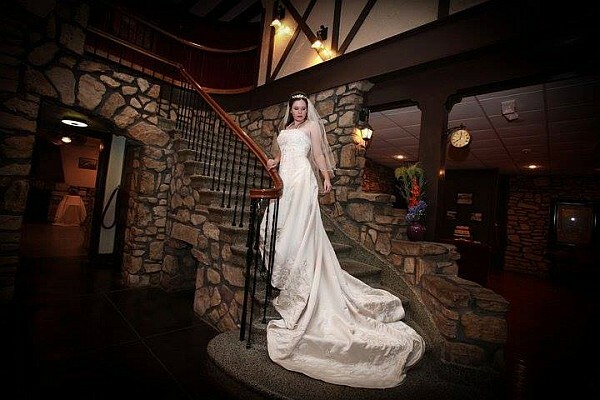 With seating for up to 180 guests, this chapel is sure to please the most discerning of brides. Additionally, Big Cedar offers more than 20 wedding venue locations scattered amongst its properties (that include Dogwood Canyon, Integrity Hills, Top of the Rock, Big Cedar Lodge, and more). Looking for something a little less formal, but still has the natural beauty of the Ozark’s countryside? 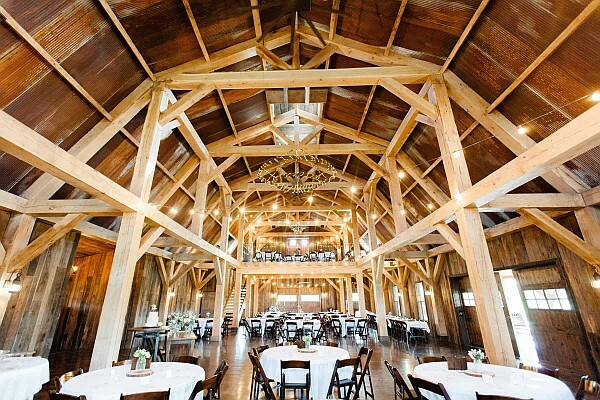 Sycamore Creek Family Ranch has a perfect spot for almost everyone, with their Heartwood Barn, Shiloh Ridge, and their outdoor location by the old Sycamore Tree, there is sure to be a picture-perfect wedding location for all types and sizes of weddings. This is a quaint and nostalgic location, with beautiful gardens and a rustic cabin that is perfect for an intimate gathering. The Homestead at Rosewood accommodates charming outdoor weddings in the Gardens at Rosewood or your use the cabin for a smaller, cozier wedding with up to 50 guests. 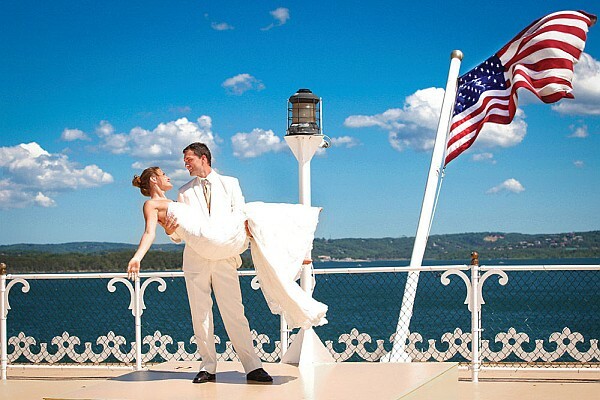 For something fun and a little different consider getting married aboard the Showboat Branson Belle. This paddle-driven riverboat offers a pleasant way to get married while cruising around Table Rock Lake. With seating for up to 700 guests and a full kitchen and wait staff, this paddle wheel riverboat is an entertaining location with a lot to offer. 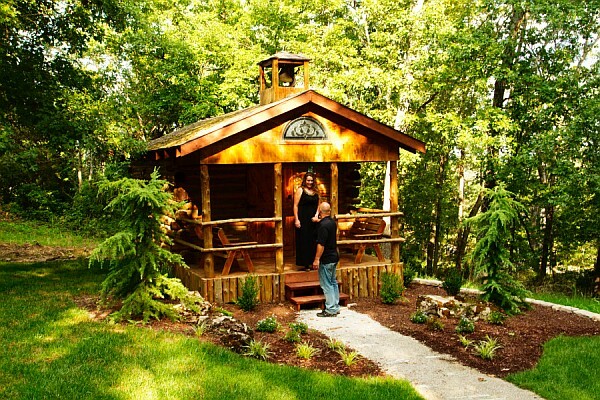 This little log chapel offers one of the most intimate and modest wedding locations in the area. Log Chapel of the Ozarks only holds up to 15 guests, so you can have a truly personal and unforgettable experience with only your closest family and friends. Old world charm abounds at this little Inn in Hollister, MO. Ye Old English Inn has a lovely staircase and a charming old world feeling that would make a very unique wedding location. There is also a pub onsite that serves really good food and drinks for a lively reception. This luxury resort offers beautiful suites and views of the Table Rock Lake that cannot be matched. D’Monaco has a low sitting yacht dock that offers a rare “on the water” perspective to individuals that want to be married on the lake. Combine the exclusive suites with the unique lake aspect and you have a perfect wedding location for a very elegant wedding event.